Thomas Opira, 47, the husband of Omoro woman Member of Parliament Catherine Lamwaka has died. Mr Opira died Saturday morning from Gulu Regional Referral Hospital where he was rushed in a critical condition from his home in Senior Quarters. The cause of death is not yet known but the late Opira is said to have been diabetic. “The deceased woke up well today [Saturday] and went and showered without any complaints. Later he took breakfast but after that he began vomiting blood,” said his nephew Eric Okot. Acholi Times understands the late Opira and his wife Catherine Lamwaka, had already informally separated and were in the process of a divorce. Lamwaka had reportedly filed for a divorce and for custody for their two children (Daniela Blessing Opira and Jonathan Opira]. A source said the late Opira was expected to appear in court on Monday next week. The deceased wedded Lamwaka who was then Gulu Resident District Commissioner in 2013 at St Joseph’s Cathedral in Gulu and had their wedding reception at the Acholi Inn Hotel in Gulu town. Acholi Inn is owned by the commander of the reserve forces Maj Gen Charles Otema Awany. By a strange twist of events, Maj Gen Otema, a renowned polygamist and Lamwaka are lovers and leave together. 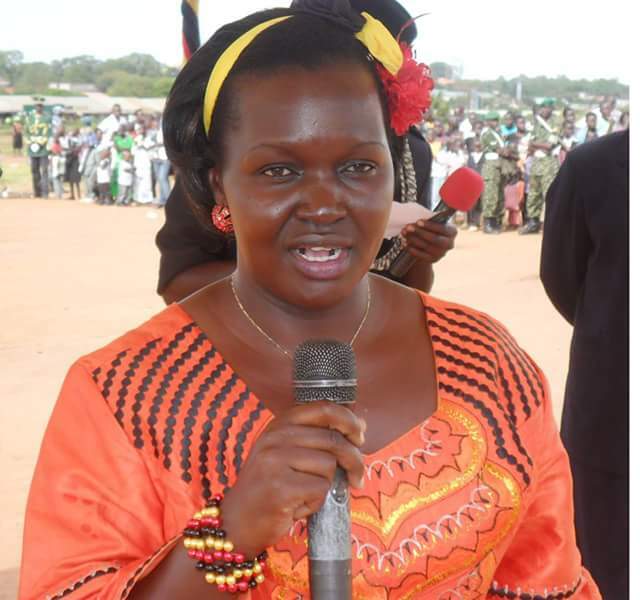 The UPDF General bankrolled her unsuccessful run for the Gulu woman parliamentary seat and her eventual successful run for Omoro woman parliamentary seat. The National Resistance Movement party Chairperson Gulu District Mr James Ocen hailed the late Opira as a dedicated servant of the ruling NRM party. “Opira was a strong mobilizer in the district, he loved the party so much, his death will create a gap in the party,” Mr Ocen said. At the time of his death, Opira is said to have been an employee at the Internal Affairs Ministry. Acholi Times was unable to establish the exact position he held. He reportedly was also working as an undersecretary in the Office of the Prime Minister. The deceased will be laid to rest on Saturday at his ancestral village in Lukome, Bungatira Sub County in Gulu district, according to tentative burial programme from family members.